Now its not often that this part of the world, here in the South West of England, can say it has something that is a record breaker or is the longest, fastest, biggest of something. 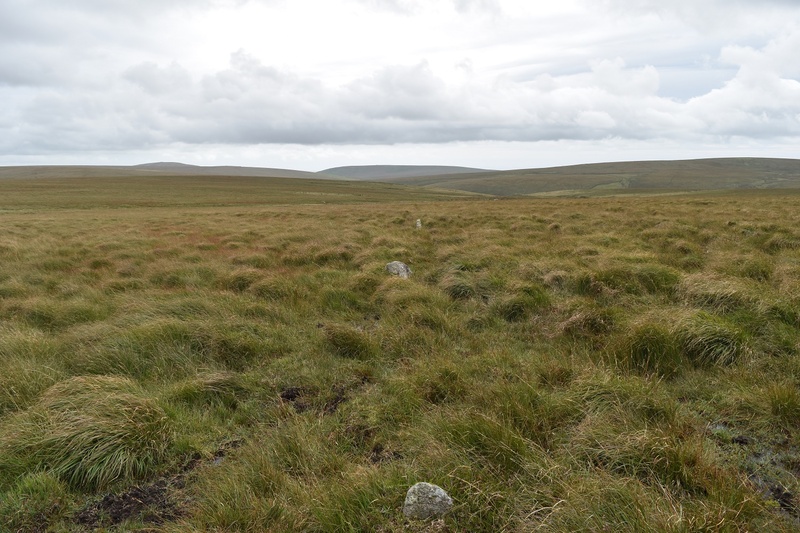 Well Staldon Stone Row is said to be the longest stone row in the world. Yep you heard it right, the longest. 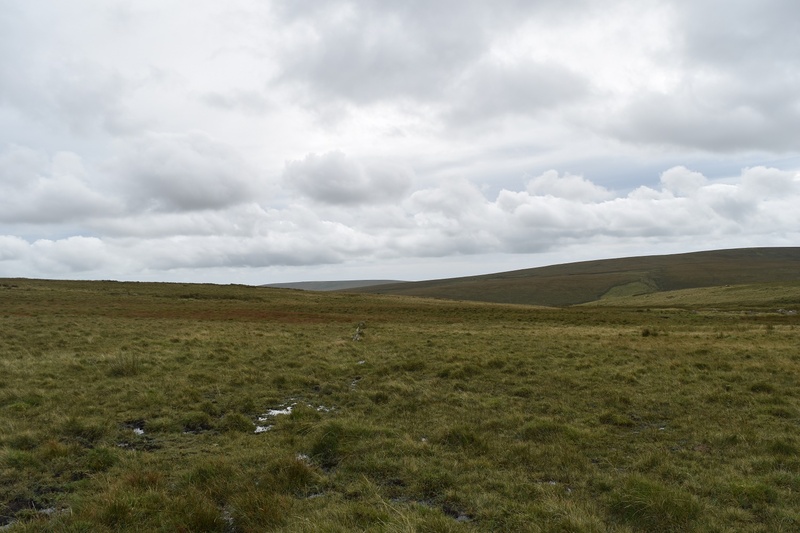 Its runs for 3.39km or 2.1miles, which is a fair distance in any term but on Dartmoor and over the long tussocky grass is a long way indeed. 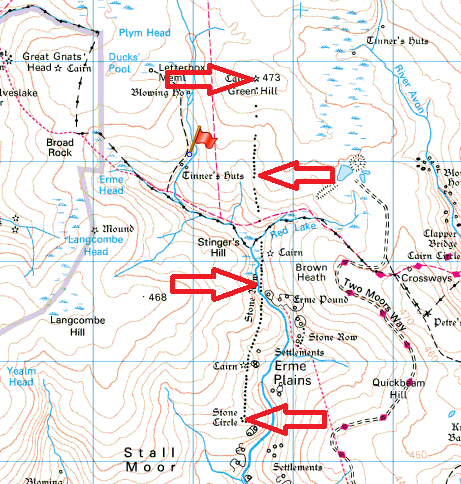 This row should not be confused with another stone row on Stalldown Barrow called Stalldown Stone Row which lies a mile or so south. 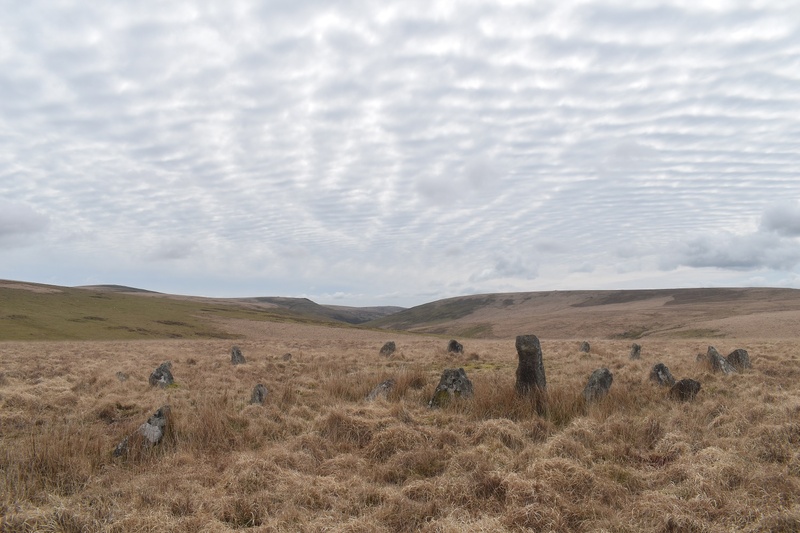 Staldon Stone Row starts with its stone circle on Stall Moor by the River Erme, The circle is called The Dancers, after a group of youths who went to Dartmoor on a Sunday to have some fun. Being the Sabbath they were smited by a bolt of lightning turning them into stone, some tried to get away which forms the start of the stone row. 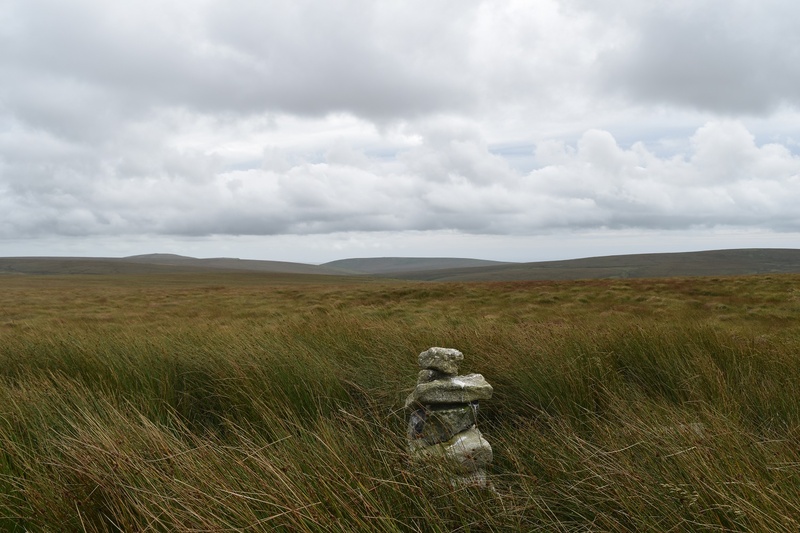 The row runs northerly and terminates on Green Hill with a cairn on a small grassy mound. 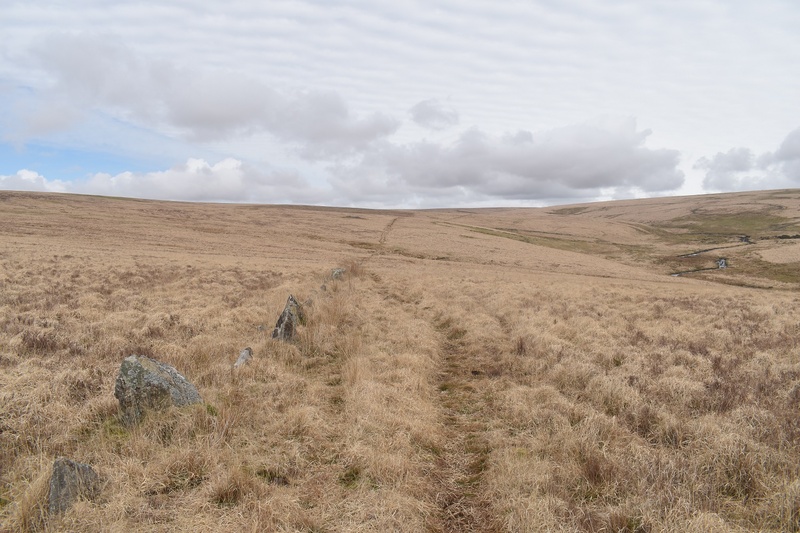 The regularity of the stones decreases the nearer to Green Hill you get, making it tricky to follow the course as there is no path in these parts, plus it crosses the Erme which make following the row pretty tricky. 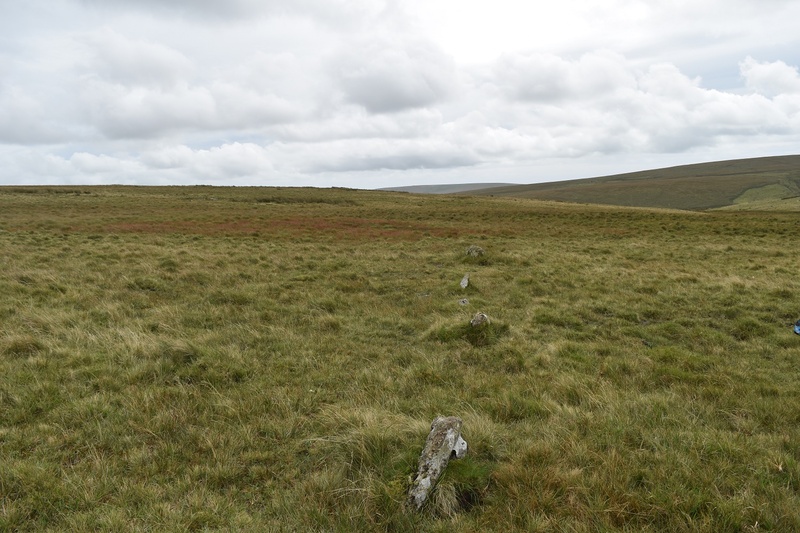 The small cairn on Green Hill, the start of this stone row is two miles in that direction!! !